As sponsors of Pannal Sports under 9’s ‘Tigers’ football team we were proud to see the team come out onto the pitch at Harrogate Town AFC’s 500 seater stadium on Saturday 12th November as mascots for the game against Tamworth. The boys got to walk out onto the pitch with the players before the match and then wowed the crowd with their playing skills during half time! Earlier in the day the Tigers also got to experience playing on the Harrogate Town 3G pitch in games against local team Pannal Ash, coming away with two wins and one draw. It was a great experience for the Tigers to play on the pitch and support their local team all in one day and we were proud to see them looking very professional, playing so well and behaving impeccably in their Harry Fairclough sponsored kits. Well done Tigers! Special thanks to mjw-photography for sharing the photography with us. 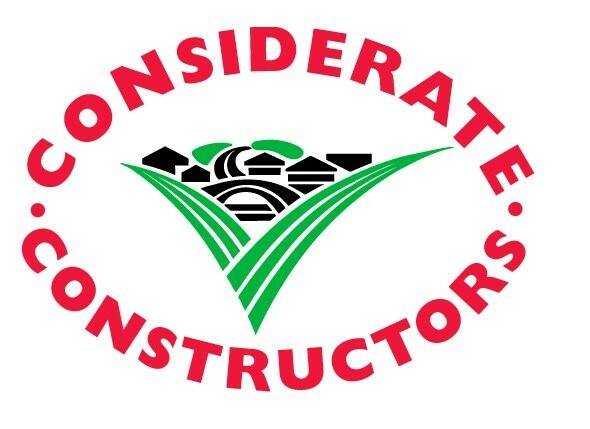 We are pleased to report that following the final inspection last month from The Considerate Constructors Scheme, we have maintained the exceptionally high score of 40 and have been deemed ‘Excellent’ in all areas for the appearance of our site, our respect for the local community and the environment, safety and the welfare of our site team. As we progress towards completion of the civic centre, our Project Manager Peter was commended in the report for his effective running of the site and efforts to keep our neighbours in the local community up to speed with developments that may affect their day to day routines. The report also acknowledged the impressive appearance of the circular and curved buildings and the clean, tidy and well organised site. The CCS is a non-profit-making, independent organisation founded in 1997 by the construction industry to improve its image. Construction sites voluntarily register with the Scheme and agree to abide by the Code of Considerate Practice, designed to encourage best practice beyond statutory requirements. The Scheme is concerned about any area of construction activity that may have a direct or indirect impact on the image of the industry as a whole.